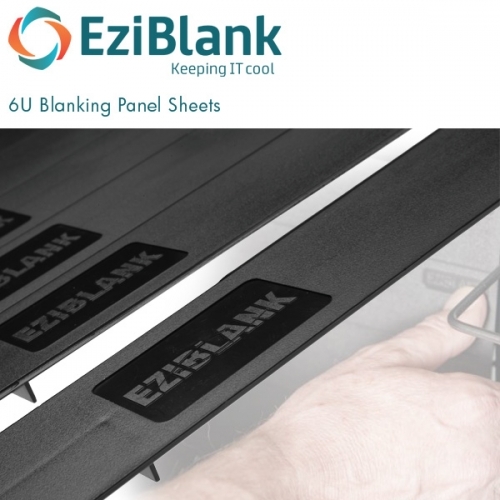 EziBlank® Blanking Panels are 6U blanking panel sheets that are scored at 1U intervals and are a part of a series of airflow management solutions from IDC Solutions, that are distributed in Europe by EDP Europe. 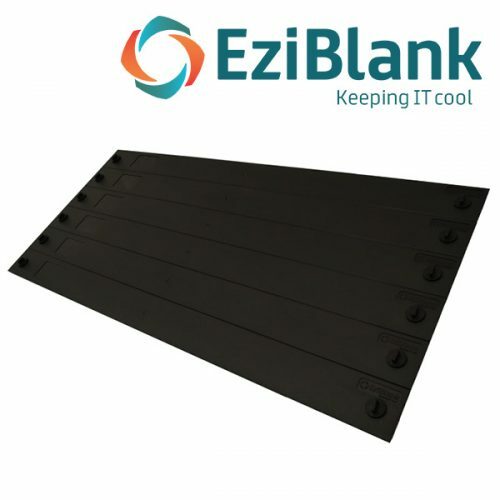 As well as the EziBlank® 6U blanking panels for 19″ cabinets, EziBlank blanking panels are also available as 23″ blanking panels and 21″ blanking panels for use in ETSI racks. 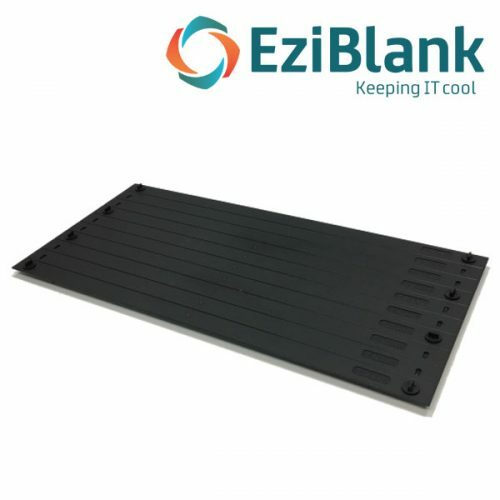 Using blanking panels to seal unused rackspace helps improve airflow managment efficiecny by preventing hot server exhaust air from circulating back to the front of the rack where it can cause hot spots and affect the temperature of the cold air cooling the servers and other pieces of IT equipment. 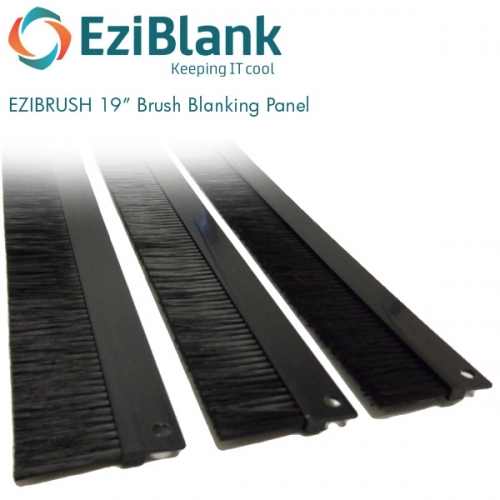 Other solutions available include: EziBrush 19″ brush strip blanking panel that provides a way of blanking areas where cables pass from the front to back of a rack, and EziBlank® Wall a rack replacement panel that fills in the gap left when a rack is removed from an aisle.